If you have followed Microsoft since the release of Windows 10 and the XBox One you might have noticed a fundamental shift in strategy. Not many realize what the reasons are. The first step was pressure for their prices of Windows. Others started to give away their OS for free, mainly Apple, and mobile does the same. So Microsoft gives away Windows 10 for free for all Windows 7/8 and Vista users. This hurts their financials but the important goal of Microsoft is different: to regain control of their OS ecosystem. The PC is as big as it is because there is a whole industry making money with it. Software, Hardware, Services, you name it. Without it the PC wouldn't have taken over the world. And all these industries make money without Microsoft seeing any share of the revenue. None. Over time this ecosystem became fractured. In countries where the average salary is low pirate copies of Windows dominated. Locked out of updates they also locked themselves out of software that requires certain Windows versions or updates. So one goal was to unify their ecosystem making it easier to regain control. 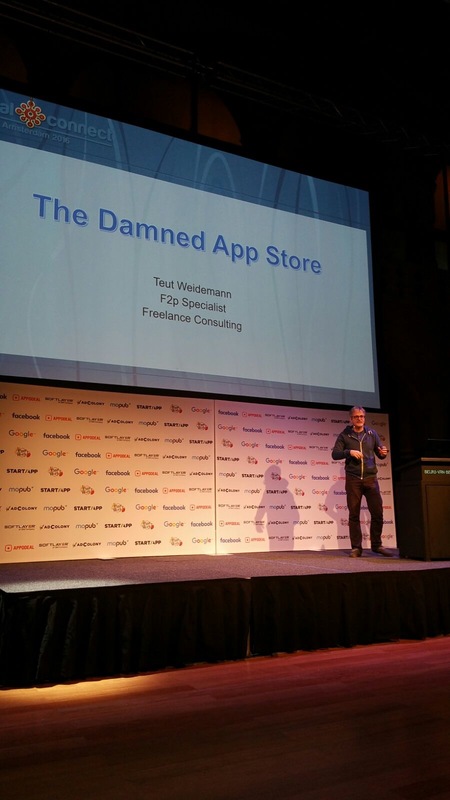 First: the app store which they implemented poorly (ask developers trying to sell or update, its a nightmare) and where they try to mimic the mobile app stores or Apples (which btw failed as well, ask Companies trying to sell over the Mac OSx App Store). Second the data mining. Windows 10 is a data leak for users. Microsoft collects tons of data and spies on you everywhere. They want the same power Google has. And yes I bet the NSA is happy as Microsoft is known to collaborate with them - a unified ecosystem is so much easier to spy upon. But that seems to be ok now and the NSA drama isn't popular anymore. Now they announced to unify the XBox one and PC gaming ecosystem as well. In other words if Microsoft locks down game sales to their App Store only the world will experience drama. And yes they can do this. Its their eco system. Valve is worried as this attacks Steam directly and they saw it coming, hence their effort with Steam machines. Check interviews with Valves CEO. If you ask developers working for Microsoft or you have sources inside Microsoft the situation is even more dramatic. Under the new lead games no longer are a priority. In fact Microsoft was thinking to get rid of their XBox department but the fear that competitors might buy out the things was big. So they integrated it into their other department which dreams about having a Settop box under your TV (note that movies etc are their priority, not games). If you read the history of the original XBox this fight was inside Microsoft years ago. So here it comes. Microsoft will force all PC's to install Windows 10 by giving it out for free and stopping support for all other versions. Microsoft will force all Software vendors to go through their App Store taking a share. This includes games. Good bye Steam. Next the Xbox One will be a PC Settop box soon instead a dedicated gaming platform. Including hardware updates - which leads to the fact that it will fail bad as somehow Microsoft forgot why initially consoles failed (Atari VCS time) and why the ecosystem worked when Nintendo changed it. In the end PC gaming is in danger. In fact all of the PC is. As its strength was its open Software and Hardware ecosystem. Microsoft starts to copy Apple - in a bad way. Again no innovation. Just bad copies. Dire future under the new Microsoft lead. Do not complain when it happens. As I Teut you so. 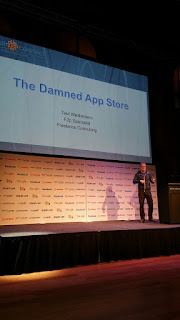 So my talk at Casual Connect Amsterdam was a success. The room was packed, all seats taken and many people stood on the sides. Many ask for my slides or the video but I have to admit the video / slides will be delayed until after Casual Connect Asia where I will repeat a slightly longer edit of the same topic. Please be patient!